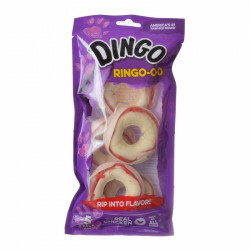 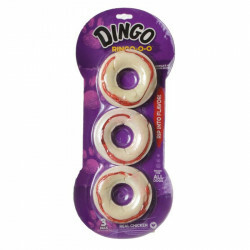 Dingo Indulgence Peanut Butter Mini Rawhide Chews are already a delicious and beneficial treat for your dog, and now with NO ingredients sourced from China you can feel just as good feeding them as your pooch does chewing them! 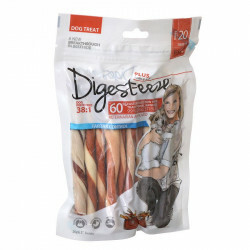 Chewing rawhide helps promote healthy teeth by removing plaque and preventing tartar buildup. 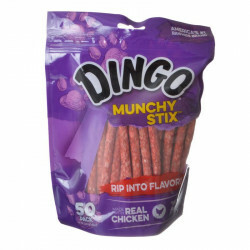 Natural rawhide, premium chicken and pork and delectable peanut butter flavor - now that's a treat every dog will love. 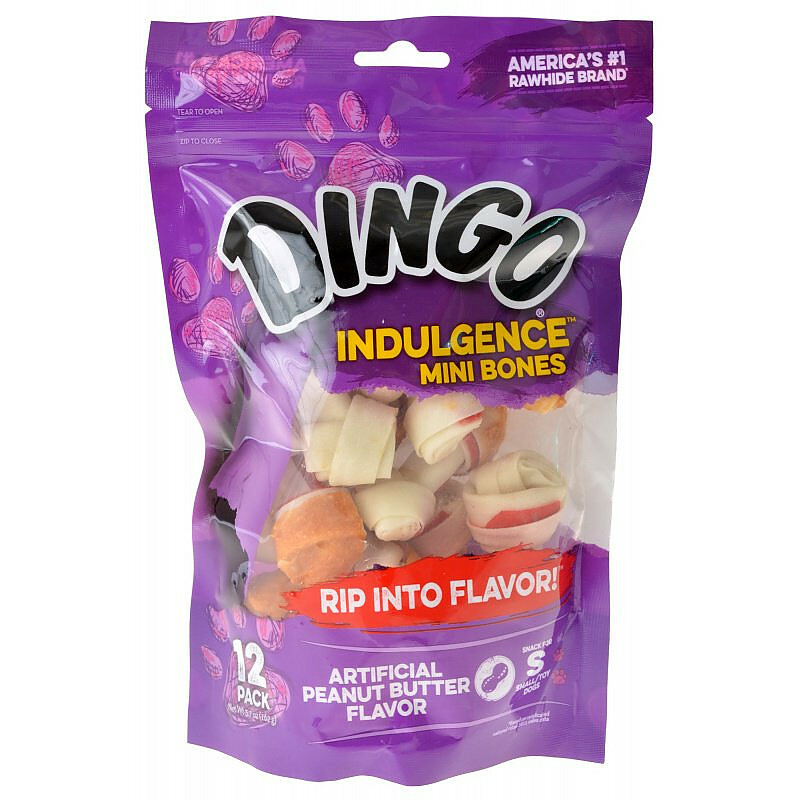 Ingredients: Rawhide, Chicken, Water, Maltodextrin, Potato, Pork, Sorbitol, Salt, Corn Sugar, Potassium Sorbate, Peanut Flavor, Titanium Dioxide, FD&C Yellow 6, FD&C Red 40.